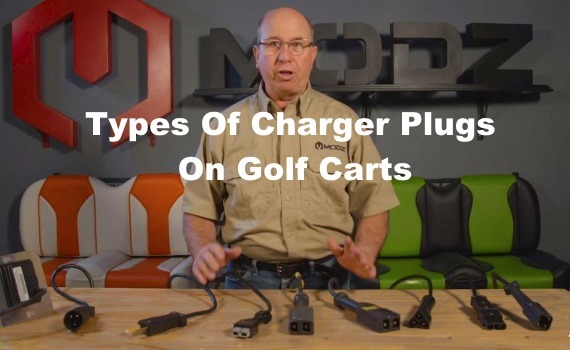 Types of golf cart charger plugs and handles video. There are many types of charger plugs and handles on golf cart chargers. This video will show you if the charger plug is for an EZGO, Club Car, or a Yamaha golf cart. Most golf cart manufacturers have also made more than one type of charger plug over the years. Mostly the changes are to improve durability and safety when inserting the power cord into the golf cart. Thanks to Tuber DIY Golf Cart for the video below. You should check your golf cart’s manual for which type of charger it needs if you are due for a replacement. You can find golf cart accessories here on the cheap.